aun mas las bandas altas. 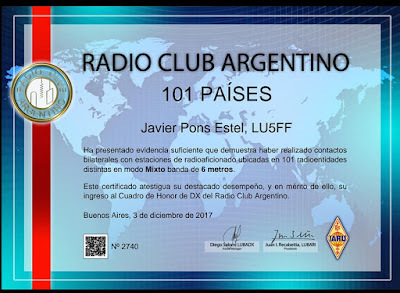 Cada modelo ronda entre los 380 a 400 dolares. Four state-of-the-art transverters are included in Elecraft's new XV Series: the XV50 (6 Meters), XV144 (2 Meters), XV222 (222 MHz) and XV432 (432 MHz). The transverters can be used with nearly any transceiver that covers the 28 to 30 MHz frequency range (28-32 MHz on the XV432), including Elecraft's high-performance K2 and K2/100. The XV Series provides important benefits for the operator in both receive and transmit modes. On receive, the transverters combine a low receive noise figure (typically 0.8 dB) with a high dynamic range front end (+17 dBm mixer), ensuring exceptional weak-signal performance even in large-signal environments. Reliable overload detection is included at the IF port to protect the mixer. On transmit, the XV's 20-25 watts output will drive most high power linear amplifiers. A sequenced keying output is provided for external amplifiers, and a built-in wattmeter using a 10-segment LED bargraph provides fast power output monitoring. Provision is also made for an optional crystal oven to enhance frequency stability. Single-port and dual-port IF connections allow use with almost any transceiver. IF transmit levels from -20 dBm to +39 dBm (.01 milliWatt to 8 watts) can be accommodated, with a constant-impedance IF termination for consistent performance. Multiple transverters can be easily daisy chained to a single IF transceiver, providing multi-band operation without cable rearrangement. A brightly illuminated label clearly identifies which transverter is selected. There is also an auxiliary BNC connector on the rear panel that can be wired for a RX only path at the VHF output for split TX/RX paths. The XV Series transverters are packaged in attractive, low-profile enclosures measuring only 1.2" (3 cm) tall, with styling that matches the Elecraft K2. The transverters are also well integrated with the K2 electrically, providing automatic band selection; independent, calibrated display of each transverter's operating frequency to 10 Hz; and front-panel power level control. Like Elecraft's transceivers, the XV transverters are completely modular, simplifying construction and alignment. The professionally-written, fully illustrated manual will appeal to experienced as well as first-time builders. The kits are easy to assemble, featuring "no-wires" construction, and all surface-mount parts used in the kit (15 total) are pre-installed at the factory. Our newest XV, the XV432, includes narrow band helical filters for excellent IF image rejection at 432 MHz. Note: The KIO2 AUX I/O option or the KPA100 (which includes KIO2 functionality) must also be installed in the K2 to provide the external control signals for the XV transverters. 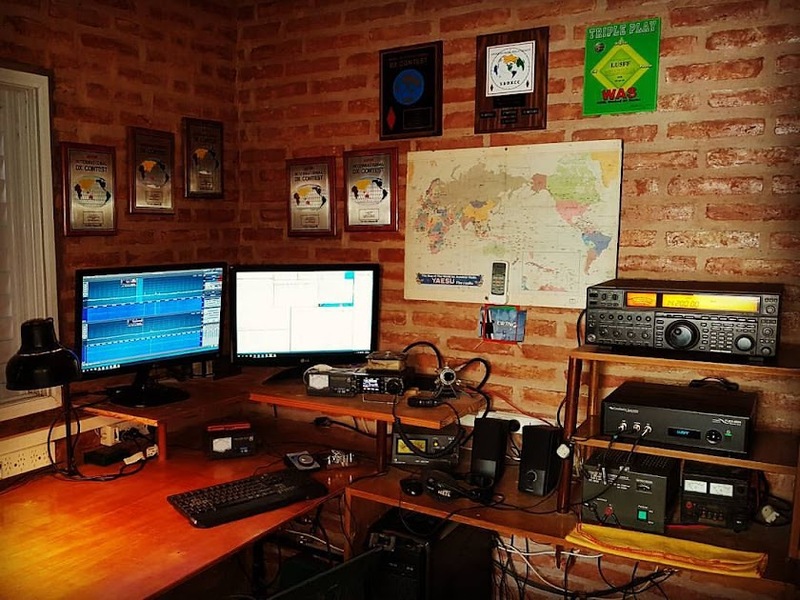 Se viene el nuevo Yaesu FT 818 ?